For many individuals, breast augmentation and other breast enhancement procedures are options seen as helpful to improving their self-esteem and feeling better about the way they look. 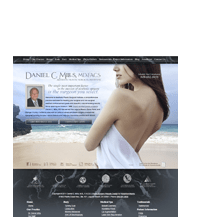 Dr. Daniel Mills fully understands how aesthetic enhancement treatments can help patients improve their lives, and he wants to make sure that options are available to people who may need some assistance in fitting treatment into their budget. Below, you’ll find some information on how you may be able to finance your procedure with low monthly payments and low-interest plans. If you have any questions, please don’t hesitate to contact the Aesthetic Plastic Surgical Institute. Dr. Mills works with an outside support company called CareCredit®, one of the most reputable healthcare finance companies in the nation. You can apply for CareCredit® financing through our website, or by speaking with one of our team members here at our practice. With the ALPHAEON CREDIT card, you’ll find the widest array of monthly payment options to help your reach your individual wellness, beauty, and performance goals. The ALPHAEON CREDIT card allows you to move forward today without delay. Plus, with special financing options not available with other credit cards, you may find the ALPHAEON CREDIT card is the better way to pay. With the ALPHAEON CREDIT card, you can receive the care your physician recommends with flexible payment options that fit your lifestyle. Dr. Mills wants to make it as easy as possible for you to achieve your cosmetic enhancement goals. Please contact us with any questions you may have, and we will be happy to talk with you about financing and payment options.